Do Title II and Title III of the Americans with Disabilities Act apply to you? Do you work for a non-profit or for-profit zoo, aquarium, or museum? Is your zoo, aquarium, or museum operated by your state or local government? Do you have a Transition Plan or Barrier Removal Plan for your organization? Do you know that the Justice Department or your State's Attorney's Office could sue your organization if you are not in compliance? Fines can cost an organization $55,000 plus compensation just for an initial infraction. 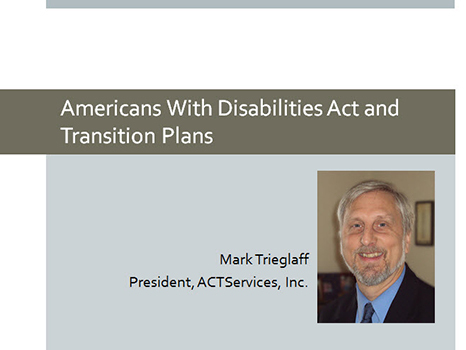 This comprehensive webinar will discuss the development of a plan, examples of that plan, common accessibility issues, and an overview of what to look for in your policies and procedures that could cause an accessibility issue.